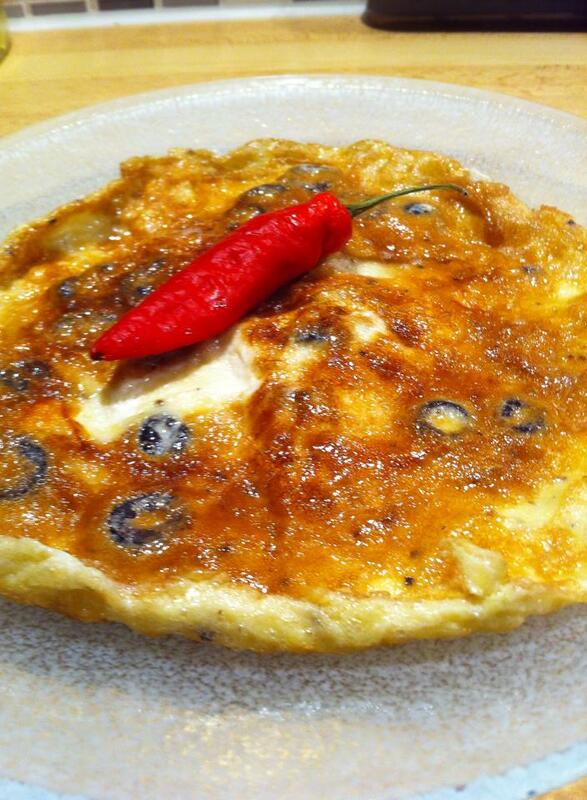 This omelette is quick to make and tastes simply amazing! Beat the eggs with the spices. Stir in the olives and cheese. Heat the frying pan and pour in the oil. Turn down the egg mixture. Let fry until golden. Then flip and let the next page to color. Take it out of the pan and sprinkle with truffle oil. It is very tasty and you do not need much of it. That look so delicious. And I’m really excited that I already have all the ingredients in my kitchen – brunch with the girls tomorrow is sorted. Thanks!